MyBenglauru.com is also a part of it. 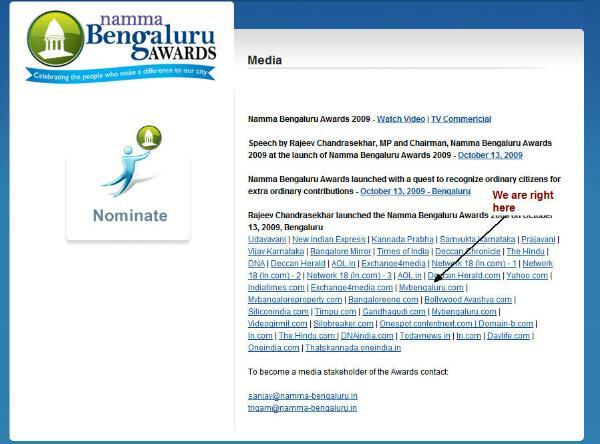 It is nice to know that we are part of Namma Bengaluru Awards. Now Mybengaluru.com is found somewhere in the middle along with other websites and I hope with the active support of our team members, we can have a better positioning in the coming days.